I’ve been back in LA for a little less than a week now, yet it still feels like I was strolling down Champs-Elysees just yesterday… Though I knew I would miss Paris dearly, I always do, I guess I didn’t realize just how much and how quickly! I think, I would give pretty much anything right now to be able to enjoy a cup of coffee and a croissant at my favorite Cafe de Flore right about now! And yes, I’ve become quite the croissant addict and a croissant snob, because I’ve been looking for a place in LA that makes good croissants, but haven’t been able to find one so far. So, if you guys have any suggestions, I would really appreciate them. But while we are on a subject of favorite things, this entire Chloé look is a favorite from head-to-toe! 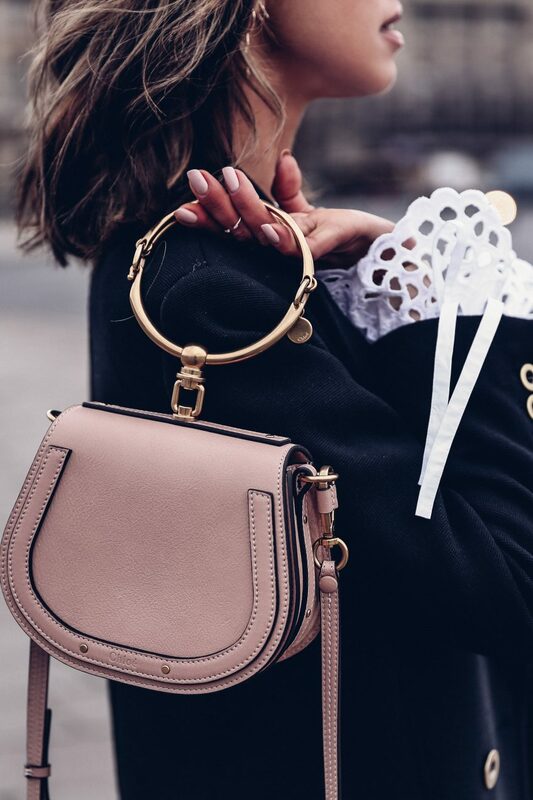 You know, I have a wild obsession with accessories in general, but I am completely and totally in love with these Chloé sunnies and bag at the moment. 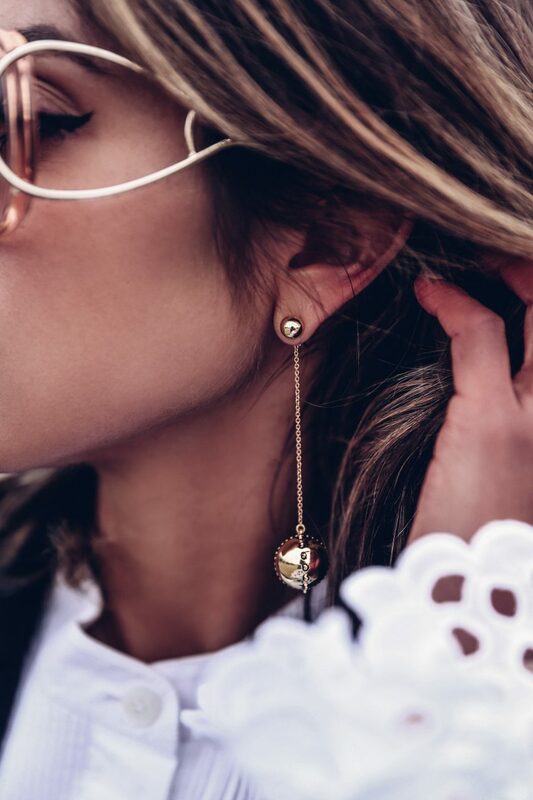 Aside from the fact that they pair beautifully with just about everything, I love the way they elevate even the simplest of looks to a whole new level and add that dramatic element I always look for in accessories. And of course you know me, I like a bit of drama when it comes to outfits. 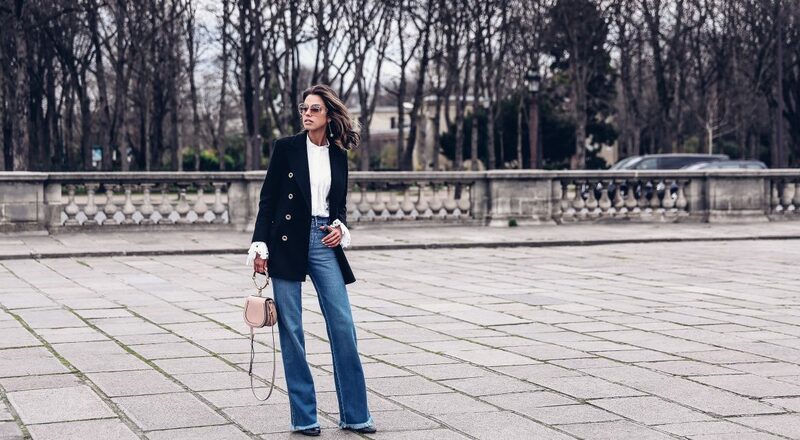 Another obsession du jour is the high-wisted fringed flares from Chloé I’m sporting in today’s post. Aside from the fact that they make you look like you’re 6 feet tall and have mile-long legs, I love the way they pair with different top options. 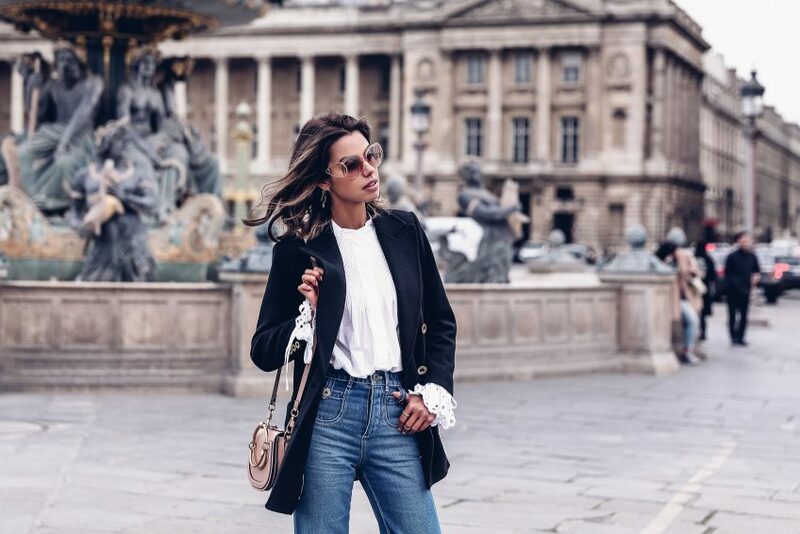 From tucked-in button downs and off the shoulder blouses, to cropped tops and bomber jackets, basically you can wear them anywhere and with pretty much everything! Of course you know how much I love versatility, so naturally, I’m obsessed! What about you guys, what are some of your obsessions at the moment? 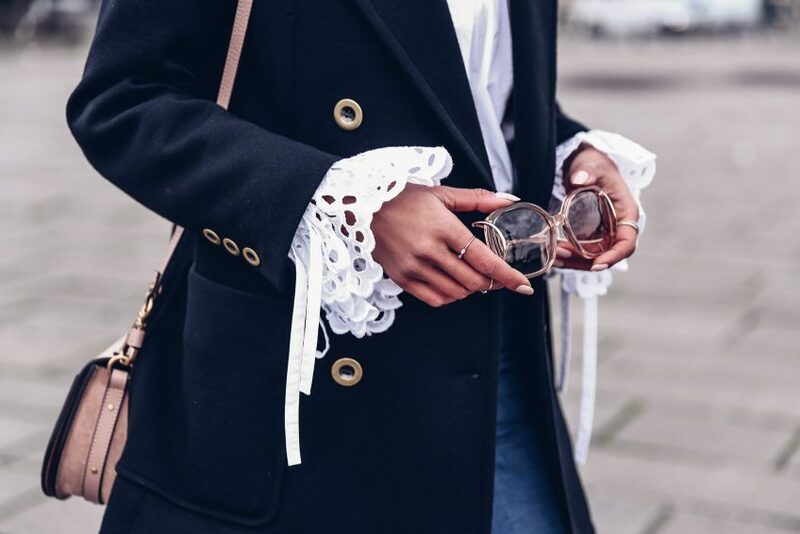 Such an elegant look with the fantastic blouse! Gorgeous! 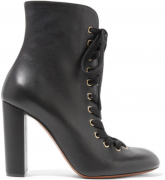 Chloé has such amazing pieces! Love the bag and the jacket! Love the flared denim and double breasted jacket! This blazer and THOSE sleeves!! Oh my. Looking so amazing in this outfit! 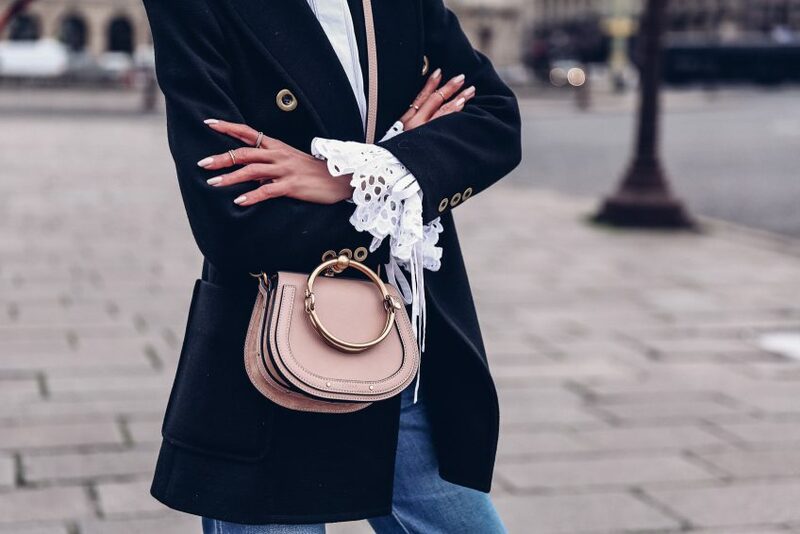 Your bag and coat are everything! Fabulous Chloe look. They make the best outfits!!! that look is perfect! the shirt is magnificent! Awesome look! 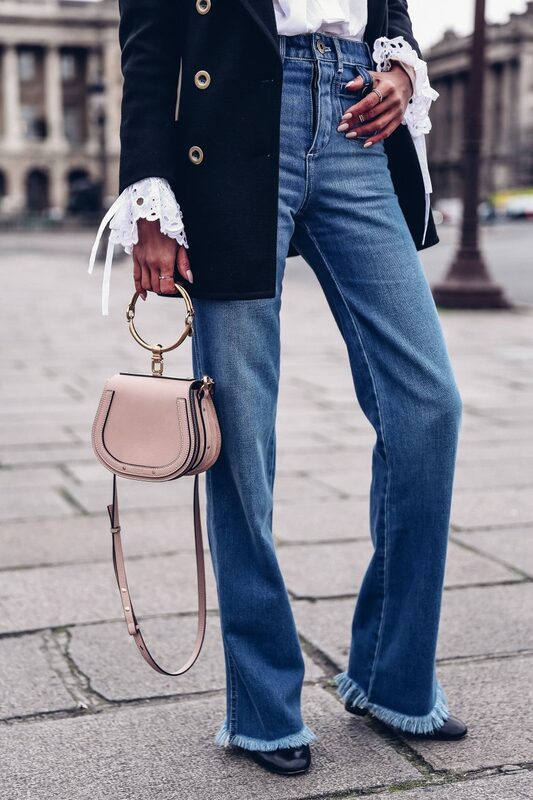 Love the flares and the bag. These sleeves are so pretty and that Chloe…! Beautiful. 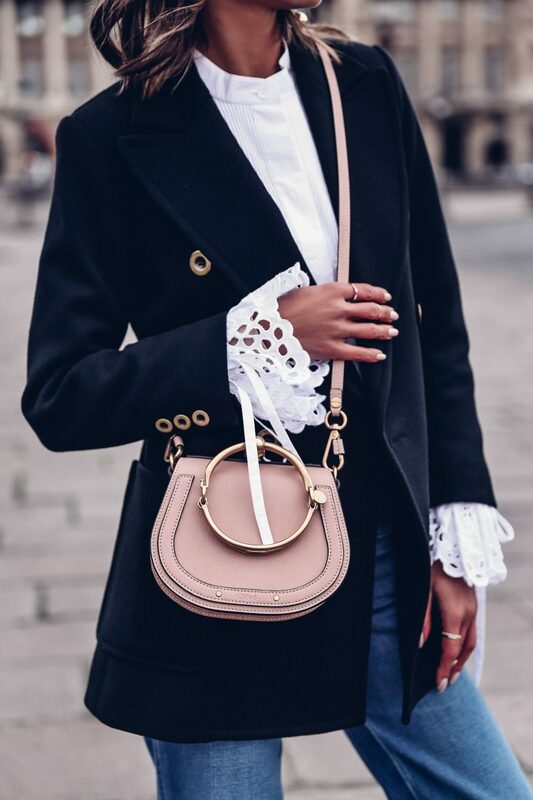 That bag is incredible and I love the sleeves on that top! And this post was actually a first for me, I didn’t know Chloe made jeans! Gorgeous as always! I’m loving the hem on the jeans and the sleeves look great with that jacket. I love this outfit because you’ve taken classic pieces that have small details and put them together to really elevate the look and let the those little details shine through! I especially love the sleeves of the top and the amazing sunglasses and how they compliment the bag so beautifully! I was also in Paris for PFW and I am missing the amazing food – Croissant and coffee is my favourite breakfast of all time! I just love everything about this gorgeous Chloé look !! The Little Next Door on 3rd Street (halfway between the Beverly Center and Farmers Market/The Grove) has terrific croissants. 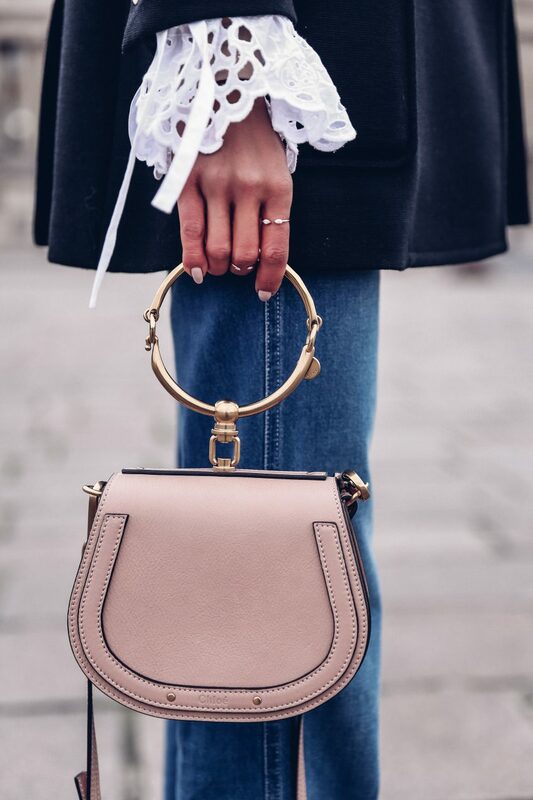 I’m obsessed with Chloé bags and I love this one! Your look is really amazing, head to toe Chloé, but not a bit boring. Absolutely gorgeous!